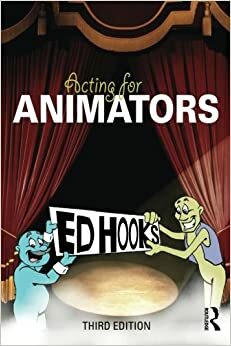 I’ve been reading through Ed Hooks’ Acting for Animators and think it will be a good start to form mini animation projects on. The book mostly focuses around the performance aspect of animation, applying theatrical acting techniques and adapting them for the animation context. In the book a number of topics are covered, often in small and to-the-point sections. There are a number of techniques, principles and concepts that I may want to research into and animate in response to. This includes animating dialogue, power centres, status transactions, movement and body language. There is also a set of seven essential acting principles which are a bit like Disney’s 12 principles of animation but instead focused around performance acting. In the coming weeks I’ll identify which techniques I’d like to talk about, research further into and create work based on the concepts discussed.